I agree. Curbside recycling is a convenient way to ensure packaging gets recycled, but it can miss the opportunity for packaging to be re-used. Additionally, it doesn’t ensure that this packaging is recycled to the highest possible use, or even that all materials collected are recycled rather than landfilled! At its root, a circular economy is about being resource-efficient and economically-efficient. While we are seeing a general transition toward a circular economy, I’m pleased to note this transition isn’t necessary in the Canadian beer industry: the economics for a resource-efficient package have been at the heart of our business model since the end of Prohibition. It’s pretty simple, really. Canadian brewers seek the economic benefits of re-using glass bottles. 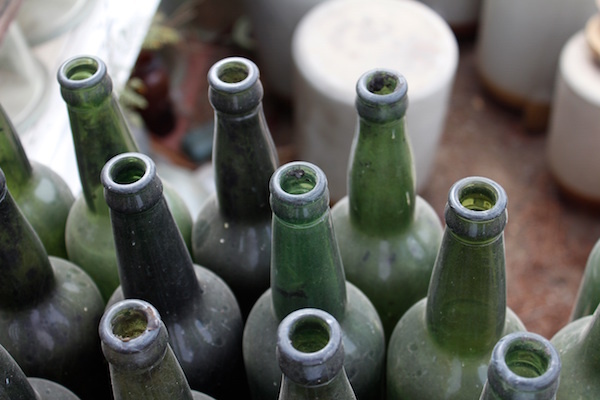 So, we offer consumers a financial incentive to bring back these bottles – almost 97% were recovered in Ontario at last count. The industry benefits are clear. Packaging (like glass bottles) is a significant input cost, but in the Canadian beer industry the average glass bottle is re-used 15 times. Dividing the bottle’s purchase price by 15 turns a significant input cost into a minor one. The industry has a significant incentive to get those bottles back – if recovery rates drop, then so do the number of times a bottle is re-used and company costs go up. The Canadian brewers’ system takes account of all their packaging, not just the beverage containers. The cardboard case the bottles are sold in also has many lives, ultimately coming back to the brewery (with the empty bottles) to be recycled, creating another source of revenue. In Ontario, the Beer Store shows us what retailing might look like in a circular economy. The primary beer retailer in the province, the Beer Store, is perhaps the only Ontario retailer that takes back all the packaging it sells. As a result, the Beer Store not only recovers over 90% of all beer containers sold, but also is net positive to the Blue Box by annually collecting more plastic and paper packaging than the industry generates. In 2007, the Ontario Government chose to piggyback on this existing collection infrastructure for the collection of wine and spirits containers. Since then, recovery rates for these containers have increased by 25% and over 2.5 billion containers have been diverted from Ontario landfills. The Canadian beer industry’s bottle-return program is a great example of how we can think beyond the Blue Box. This solution required bringing together many actors, including packaging vendors and brewers (traditionally competitors not partners) to think differently. The Ontario Circular Economy Innovation Lab, which is powered by The Natural Step Canada, will be critical in bringing together the leaders needed to accelerate Ontario’s transition to a circular economy and in finding similar solutions to the one Canada’s brewers started putting into practice decades ago. We should consider economic incentives – for companies, to ensure the practice will be maintained, and for consumers, to ensure they participate appropriately – as a key tool in driving the highest and best use of resources, as well as economic growth. The pathway to a circular economy is before us…it is exciting to envision what our future looks like and how we get there. The article ‘The Economics of the Circular Economy’ was written by Brian Zeiler-Kligman, Vice-President Sustainability at Canada’s National Brewers. Brian is a member of CEIL’s Steering Committee and a participant of the Printed Paper and Packaging Rapid Lab.